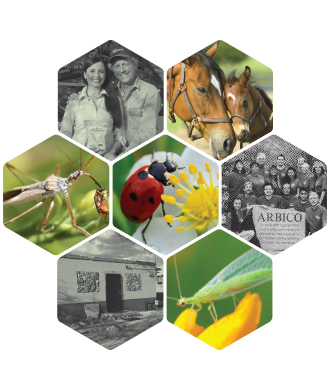 This publication is designed and produced by ARBICO Organics solely for informational purposes. Reasonable efforts have been made to provide accurate information, but errors may occur. All insect quantities are approximate (and the "double tilde" symbol ≈ so indicates). Product specifications are provided by the manufacturers and are subject to change without notice. Photographs are for illustrative purposes only. All warranties, express and implied, including warranties of merchantability and fitness, are hereby excluded. Buyer's exclusive remedies are limited to those set forth in ARBICO's "Satisfaction Guarantee." Without limitation, all damages, including incidental and consequential damages, are hereby excluded. Catalog prices are subject to change without notice.